Two Palestinian activists have been arrested and a Canadian activist has been shot in the leg by a rubber-coated steel bullet while attempting to take in food and other supplies to the West Bank village of Ni’lin, which has been holding constant non-violent demonstrations against the Israeli annexation barrier for the last two months. 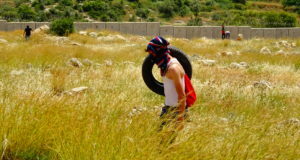 In a separate attempt in the evening a large group of Palestinian residents of Budrus, together with international and Israeli solidarity activists, were opened fire on as they were bringing supplies into Ni’lin. 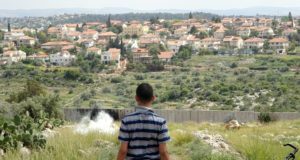 One Palestinian was hit twice by rubber-coated steel bullets and one Swedish activist was hit by a tear-gas cannister fired at the group. 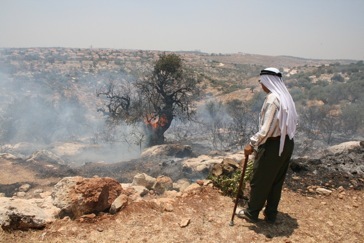 Basel Mansour, a member of Bi’lin Popular Committee and Ashraf Abo Rahma were arrested at the Ni’lin village entrance this morning as they attempted to enter the besieged village together with international solidarity activists. 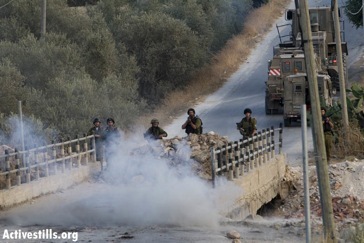 Israeli forces repeatedly attacked the group, forcing them back. 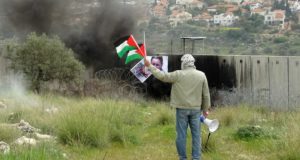 One international solidarity activist from Canada was shot by a rubber-coated steel bullet as he attempted to put out a fire started on village land by an Israeli tear-gas cannister. 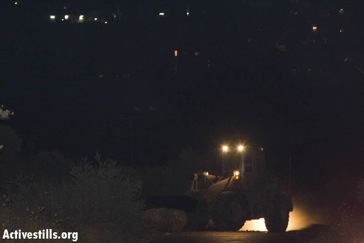 Efforts to enter Ni’lin with much needed supplies will continue tomorrow if the siege has not been lifted.